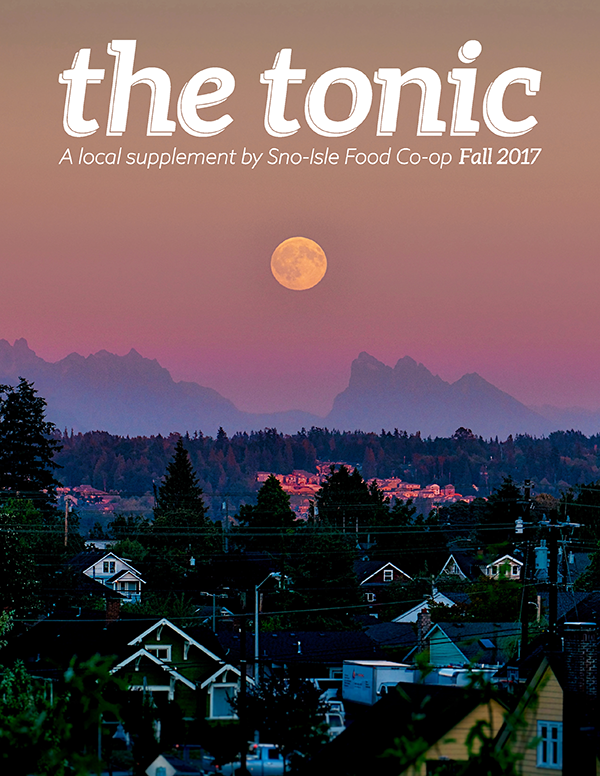 The Tonic is Sno-Isle Food Co-op’s quarterly publication. First launched in Fall 2017, this newsletter is making a grand re-launch this March! The Tonic is your all-in-one place for recipes, events, and co-op updates. Pick up your copy in store! Ask our friend Cheri your burning nutrition questions and maybe you’ll see the answers in the next edition of The Tonic! Cheri also teaches FREE classes in our classroom! Look for them on our events calendar. Cheri Soraparu is a Board Certified Clinical Nutritionist and has been licensed and practicing over 10 years. She has always had a passion for learning about the body and helping others to feel and look their best. She is currently working on a nutrition oriented children’s book and looks forward to teaching community classes.